The Google AdSense Help Forum is lighting up with AdSense publishers claiming they received a "Policy Breach Notice" email from Google for passing personally identifiable information (PII) through their ads. Thank you for your efforts to date to stop personally identifiable information (PII) being passed to Google through ad requests. Please note that we have not detected personally identifiable information being passed through the ad requests associated with your account in X days. We will continue to monitor your account to ensure that the issue has been comprehensively resolved. 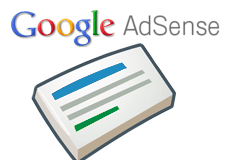 The Google AdSense Help thread has hundreds of posts in it with complaints. This isn't the first time Google sent mass PII notices to AdSense publishers, they did it back in last May as well. I had several publishers notify me of this notice and they are a bit nervous about what they need to do to fix it. Google does have this help document that should help publishers fix the issue. Update: This notice was an error and Google has apologized.